Bitcoin and other cryptocurrency miners have created a dearth of mid-range and high-end GPU cards that are selling for twice as much as suggested retail. The reason: miners are setting up server farms with the cards. Sales and prices of graphics processing units (GPUs) have soared in recent years because bitcoin miners have been snapping them up to create server farms dedicated to attaining bitcoin and other cryptocurrencies. Bitcoin and some other digital currencies can be awarded by solving complex mathematical algorithms known as "Proof-of-Work," also known as crypto mining. In order to beat out others for digital currency, tech savvy users and even groups have taken to buying high-end "gaming processor cards" – GPUs (otherwise known as graphics processing unit cards) – to build "mining rigs" to generate the highly valuable cryptocurrencies. Mining rigs and even large data centers dedicated to crypto minging have also consumed more and more energy. Networks dedicated to bitcoin mining reportedly consume more energy than the country of Bulgaria. Cryptocurrency miners have also set up rigs in regions where the cost of electrical power is relatively inexpensive, prompting some countries, such as China, and even U.S. cities to restrict the practice. The number and size of data centers now processing bitcoin transactions is still growing, though for the moment that is largely due to inertia and the long cycles required to contract, build and deploy mining systems, according to Paul Brody, Ernst & Young's (EY) Global Innovation Leader for Blockchain Technology. "Transaction volumes are down significantly in the last two months – back roughly to the level they were at two years ago. If that stays the same, then we will see a slow-down in build-out and probably a retirement of older systems soon, as well, to bring capacity back down," Brody said via email. Tech vendors such as 3M are now marketing new "liquid immersion cooling" systems to cryptocurrency miners to address overheating issues on their mining rigs. One problem, however, is that the most popular digital currency – bitcoin – has a limited number of coins and as that number shrinks in size, the processing power required to mine them increases. The prices for some GPUs have more than doubled. 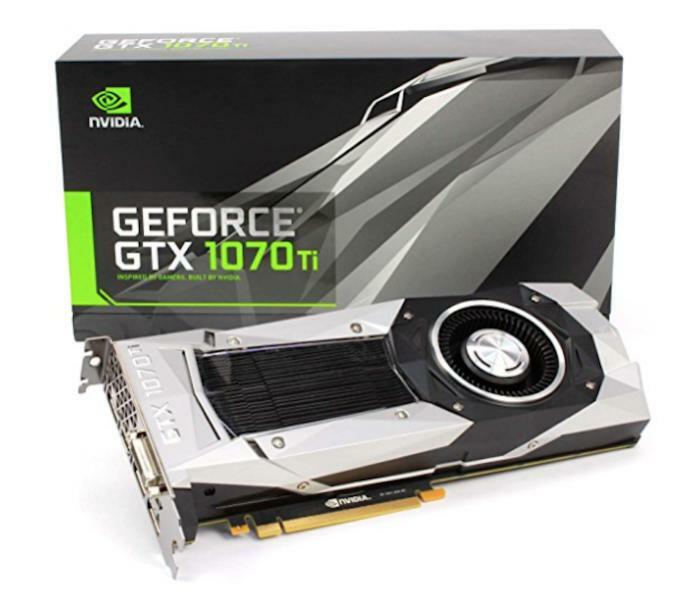 For example, Nvidia's GeForce GTX 1070, which once retailed for $380, according to Polycon, can now go for more than $700. The video gaming website, GameSpot noted that a 6GB GTX 1060 six-pack (Founder's Edition or EVGA) is selling for $3,780, while a pack of MSI Aero ITX OC GTX 1060 cards is listed for $3,465. A top-of-the-line GTX 1080 is priced at $6,300 for a six pack, but you can't find them. And AMD's OEM 4GB RX 580 six-pack is retailing for $3,600. Some retailers are taking action to limit the number of cards crypto miners can purchase and are showing pricing favoritism to their more traditional gaming customers. MicroCenter, for example, is offering gamers who purchase GPUs MSRP pricing. "The price of graphics cards [has] risen markedly over the past few years," Melodi Li, an analyst with TrendForce, said in an email. "This resulted from the short supply of graphics cards as the cryptocurrency miners have purchased large sums of them for high-speed processors." In the beginning of the GPU rush, the most popular cards were those made by Advanced Micro Devices (AMD). But as AMD's supply dwindled and cards became harder to find, NVIDIA's processors became the popular ones for crypto miners, Li said. The burgeoning interest in bitcoin over the past year – and the attendant rush to buy GPU cards – could affect the GPU market for a while longer. "Given the enormous spike in bitcoin prices towards the latter half of last year, it could be a few more months before supply for high end GPUs matches up with demand and constraints ease," Brody said. As cryptocurrency mining has soared, so, too, has sales revenue for GPUs used as add-on cards for PCs; over the past three years, it has nearly doubled, from $2.7 billion to $4.7 billion. For GPUs used in data centers, the revenue has skyrocketed from $168 million in 2015 to $1.1 billion, according to Gartner. 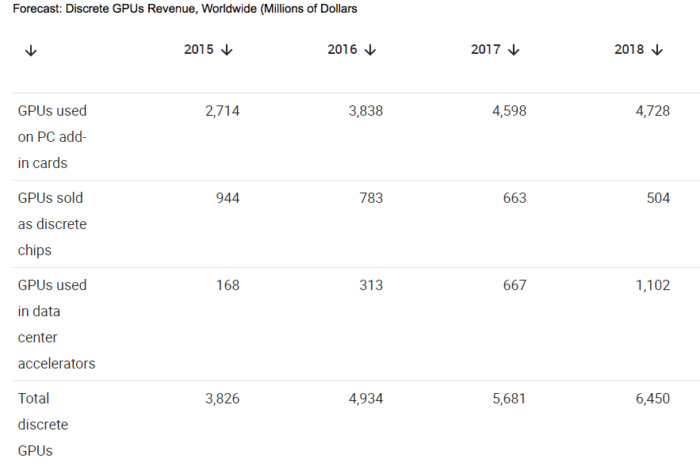 Overall, revenue from GPU sales has grown from $3.82 billion in 2015 to $6.45 billion this year. Recent reports revealed that Intel has been exploring the creation of processors specifically for cryptocurrency mining. In September 2016, Intel filed a patent describing a Bitcoin mining accelerator that "may include a processor core." A BBC report even blamed crypto currency mining for hindering scientific research because of a dearth of GPUs. "We've got the money, we've contacted the vendors, and they say, 'We just don't have them,'" Dan Werthimer, chief scientist at the Berkeley Seti Research Center, told the BBC. Earlier this year, GPU maker Nvidia asked retailers of its hardware to prioritize sales to gamers over cryptocurrency miners. Last month, Nvidia CEO Jen-Hsun Huang was asked by an analyst during the quarterly earnings call if new crypto processing was responsible for an uptick in GPU retail sales and "pent-up demand." "One way to think about the pent-up demand is we typically have somewhere between six to eight weeks of inventory in the channel. And I think you would ascertain that globally right now the channel is relatively lean," Huang said. "We are working really hard to get GPUs down to the marketplace for the gamers and we are doing everything we can to advise retailers and system builders to serve the gamers. But I think the most important thing is we just got to catch up with supply." A Nvidia spokesman said the company is not commenting beyond what was said during its earnings call. Neither Intel nor AMD responded to requests for comment. Bitcoins and other cryptocurrencies can be awarded through a "proof of work" – essentially CPUs used to solve a series of difficult mathematical equations. Digital currency miners use sophisticated software and hardware systems to solve the series of mathematical algorithms using the Secure Hash Algorithm 256 (SHA-256). When the Bitcoin mining algorithms are solved in a way that satisfies certain predefined conditions, a new block is added to the blockchain and a certain number of Bitcoins are awarded to the miner; that effectively introduces new Bitcoins into the ecosystem, Intel explained in its patent application. The greater the processing power, the more cryptocurrency can be mined and bitcoins awared – and GPUs have some of the fastest processors available. "Because of the large amount of power utilized, and the relatively high cost of that power, mining Bitcoins can be a very costly endeavor. In some embodiments, the cost to mine a single Bitcoin may exceed the value of the mined Bitcoin," Intel said.